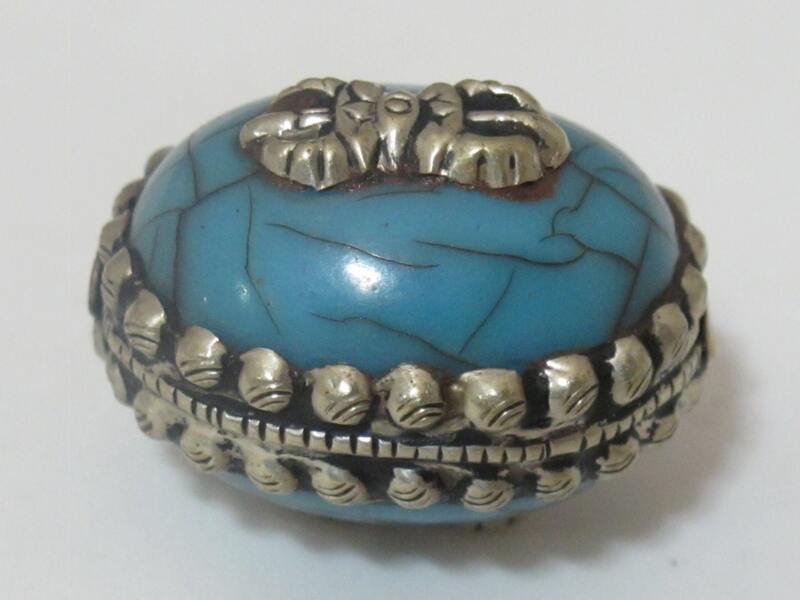 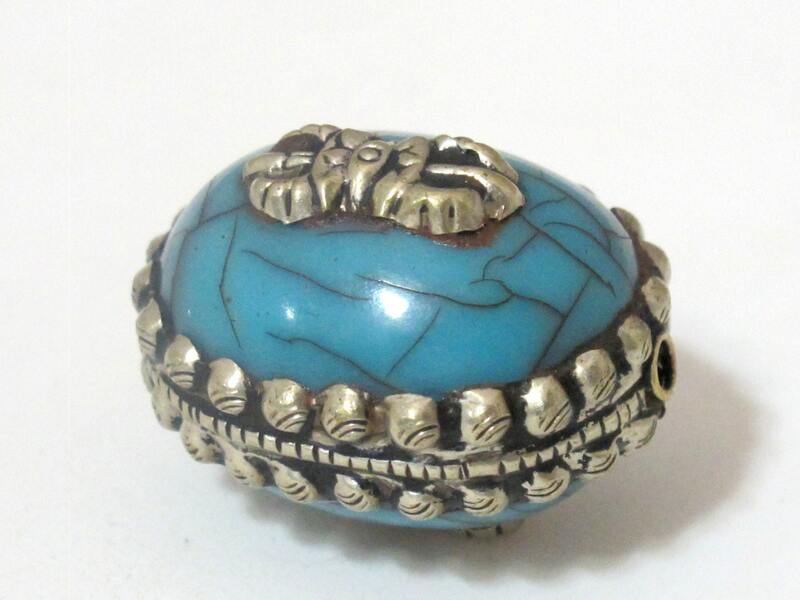 This listing is for 1 tibetan blue crackle resin bead. 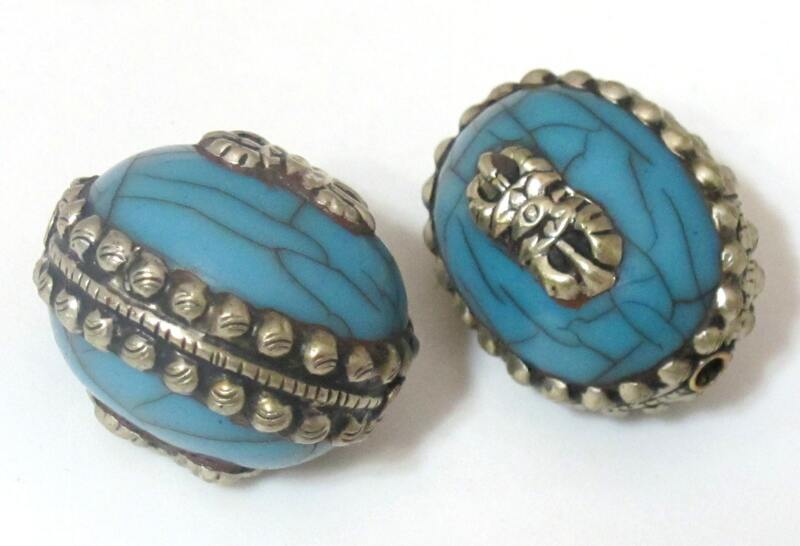 Encased in tibetan silver with dorje vajra design on each side of the bead. 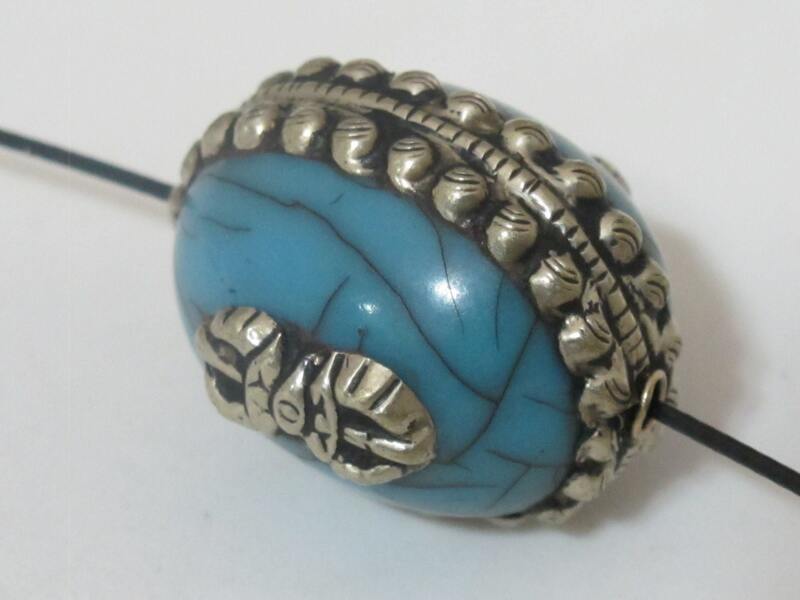 This bead is large and thick , will make a great focal bead in your jewelry designs. 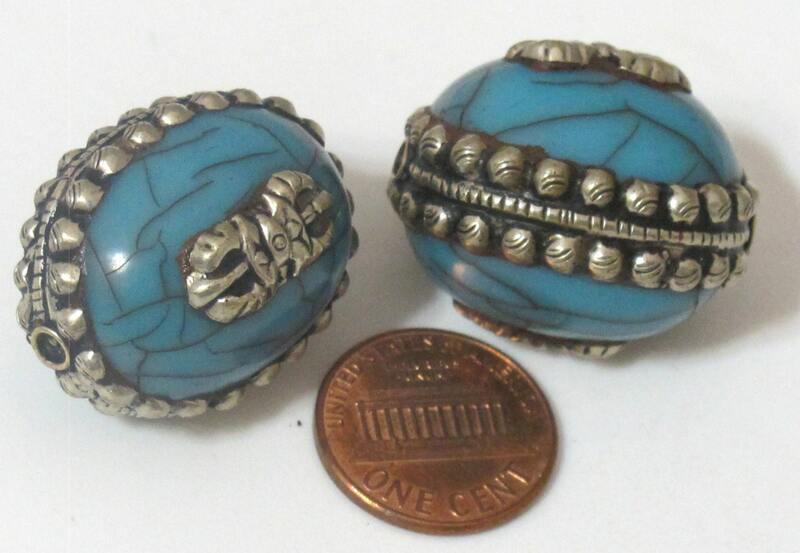 Since these are handmade each bead may vary slightly from the other.